Lightbridge is a leading provider of nuclear energy consulting services to commercial and governmental entities worldwide, and is developing next generation nuclear fuel technology that will significantly increase the power output and safety of existing and new reactors, reduce nuclear waste, and enhance proliferation resistance. Lightbridge is well positioned to serve the growing market for next generation nuclear fuel. Global nuclear power generation is projected to nearly double by 2030, due to expansion in Asia. Worldwide, 435 reactors are in operation today. More than 70 reactors are under construction, including 29 in China and six in India. An additional 473 reactors are on order, planned or proposed around the world. For the first time in more than 30 years, the Nuclear Regulatory Commission in 2012 approved construction and operating licenses for four U.S. reactors. License applications are pending for 27 reactors in 14 states. Nuclear power generation is less expensive per megawatt and more reliable with longer lasting plants, compared with wind and solar generation. Lightbridge’s advisory services operates on the philosophy that the requirements for a civil nuclear program are specific to each nation and that while the arrangements should take full account of IAEA guidance, the means of program implementation will reflect local values, cultures and needs. Lightbridge therefore has a network of truly independent, internationally recognized experts who understand international needs and can reflect these in their advice to each nation. Lightbridge’s expertise has been called upon to develop the “gold standard” in commercial nuclear program and regulatory infrastructure development. Lightbridge’s power uprate fuels are designed to be a drop-in replacement for existing fuel assemblies, requiring little to no modification of the reactor internals, core management, and operations practices. In 2014, Lightbridge continued the development of its advanced metallic nuclear fuel for power uprates and operating cycle length extension in light water reactors (LWRs). The metallic fuel rod also forms the central seed region of our patented seed-and-blanket thorium-based LWR fuels. Lightbridge’s current development efforts are focused on demonstrating the performance of the metallic fuel in a prototypic LWR environment and developing data and methodologies that will enable evaluation of the fuel for nuclear regulatory licensing. 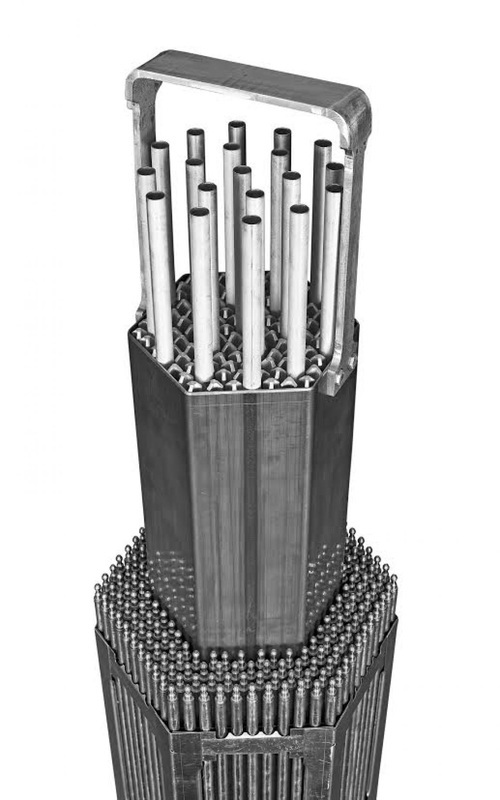 Working with its Nuclear Utility Fuel Advisory Board (NUFAB) – an advisory panel comprised of leading fuel managers from major US nuclear utilities – Lightbridge further refined the mechanical design of its power uprate fuel assemblies to bring additional benefits desired by the nuclear power industry. Lightbridge’s power uprate fuels are designed to be a drop-in replacement for existing fuel assemblies, requiring little to no modification of the reactor internals, core management, and operations practices. The NUFAB provides a crucial ”voice of the customer” to Lightbridge’s development efforts and ensures the fuel is developed with a focus on real-world application. In October 2014, Lightbridge signed a cooperative agreement with Atomic Energy of Canada Limited (AECL) for fabrication and test reactor irradiation of the metallic fuel at AECL’s Canadian Nuclear Laboratories (CNL) facility. This collaborative program will see fabrication of fuel rods for irradiation in the NRU reactor under prototypic LWR conditions. Data generated from this irradiation program will provide critical information for regulatory licensing of lead use assemblies with Lightbridge’s metallic fuel. 2015 is a pivotal year for Lightbridge’s metallic fuel development program as the development partnership with CNL is expected to begin in the first quarter after the completion of scoping work and the signing of an additional agreement for fuel sample fabrication. A significant level of planning and test development will be underway including the development of the fuel sample fabrication process for the irradiation tests. Lightbridge-designed patented, next generation metallic nuclear fuel technology enables increased power output from existing or new-build commercial reactors, generating the lowest cost power on the grid and improving reactor safety.